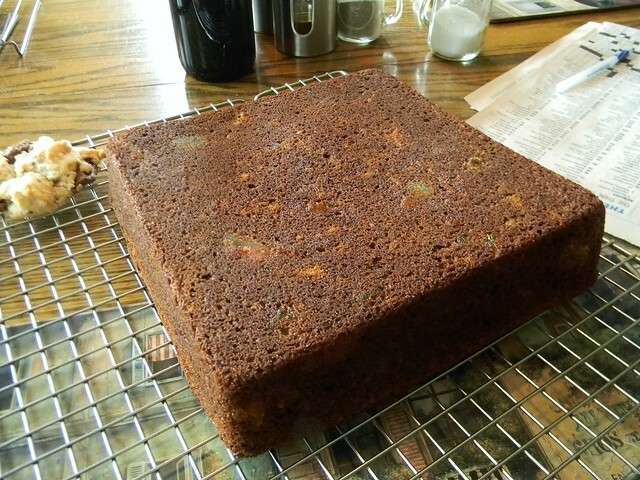 Amazing Spice Cake with Candied Watermelon Rind #12WksXmasTreats | What Smells So Good? It's starting to come down to the wire... Friday heralds November, meaning the start of the official Christmas onslaught from the marketing agents, post offices and kids with mile-long lists! We have our annual Santa Claus Parade next weekend (wasn't it just time for the Hallowe'en party?) and if my memory serves it will be a cold jaunt around town! Luckily, after the hard work comes hot chocolate and goodies at school - and a healthy, warming spice cake is a great crowd pleaser. This particular one is laced with as much ginger as I could find, as well as black tea, rich molasses and ginger-infused Candied Watermelon Rind (a cheap... er, economical... substitute for candied ginger!). The rest of the cake is fairly simple, and is amped up with pretty much a bucket's worth of spices - including some you may not have thought of in a sweet application. Like any good holiday recipe (and especially any good spice cake), this snacking cake stores perfectly well in either the fridge or freezer. Simply wrap in plastic (and again in foil if freezing) and make sure to label it! 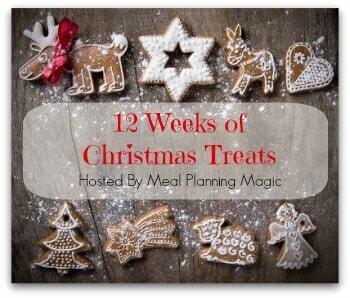 If you've been as inspired as I've been by the 12 Weeks of Christmas Treats hosted at Meal Planning Magic you'll need a list of your stash soon! Heat the oven to 350F and grease a 9” pan (I suggest lining with parchment as well). Whisk together the flours, baking soda, mustard powders, ginger, cinnamon, cardamom, cloves, allspice and salt. Set aside. Cream butter and sugar. Add egg, vanilla and fresh ginger, beating well. Beat in half the dry mixture, then the molasses and tea, followed by the remaining dry ingredients. Fold in the watermelon rind. Bake 30-35 minutes. Cool completely in the pan.